It’s a big week at Culmination Brewing. We already told you about Thursday evening’s event of Brew Music in collaboration with KORG, Waldorf and Control Voltage at the brewery. 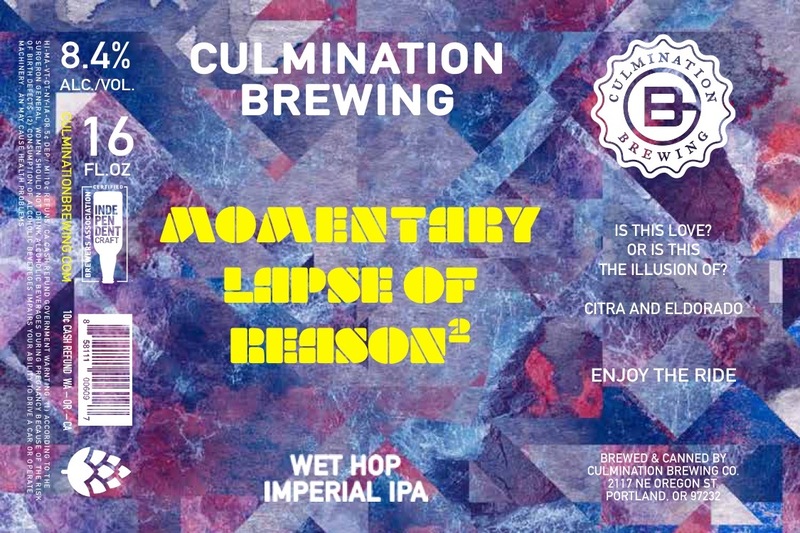 Today we learned that the brewery will be releasing cans of Momentary Lapse of Reason Wet Hop Imperial IPA and Freedom Lager on Friday at the brewery. Culmination collaborated with Modern Times Beer on Freedom Lager for an 18 pack of 12 ounce cans of a crushable 4.8% ABV. And for the other can release, Culmination pays tribute to Pink Floyd once again on its wet hop take on Momentary Lapse of Reason Wet Hop IIPA. Our Hazy IIPA with huge additions of El Dorado and Citra returns. Except this time we’ve fractured 100lbs of Fresh Citra from the Willamette Valley using liquid nitrogen to help eliminate the vegetable notes and access the glands and accentuate the oils that make Citra so popular. This beer will be available in 4pack/16oz cans. Long awaited and delayed, this is our first Collaboration with Modern Times. An American Light Lager that features a grist of 33% corn. It is a high gravity beer starting at 14 plato that the dilution came cold side with sterile deaerated water, to bring it down to 4.8% from 6%. The result is an incredibly light, clean, and refreshing Lager. We’ll be selling this beer in 18packs.